I have lit two candles this morning, and put them in my window. The wicks are a rich red and have been dry of their bobbing flames for over a year. Because I don't normally light candles... Even though these stay on my table all year round, I think I forget that their primary role is to provide light and warmth. Ash Wednesday moved me to light them, a litany of sorts to begin Lent. It makes the room feel open and bright, but also small and safe. Between the two stalwart flames, I look out and see a garbage truck blinking madly, coming down the street that cuts perpendicular to my line of sight, beyond the park. Cars speed by. Owners walk their dogs, some toy-teeny, some bear-big. The world cannot wait, not on this rainy Wednesday or any other day. Even I must go out and join it, after the last stick-to-your-bones bite of oatmeal and apple-y swig of tea. But for this moment, I sit and wait. I watch the birds chase each other through silhouettes and the stark still tree branches dark against the white-gray sky, which now seems fresh and bright with morning, but will trudge on and on until the day feels thick and musty. I breathe, and eat my breakfast. I set my full mug flush against my stomach, savoring the steaming warmth. The candlelight stands tall and calm. The flames have stretched, I think, since I first lit them. 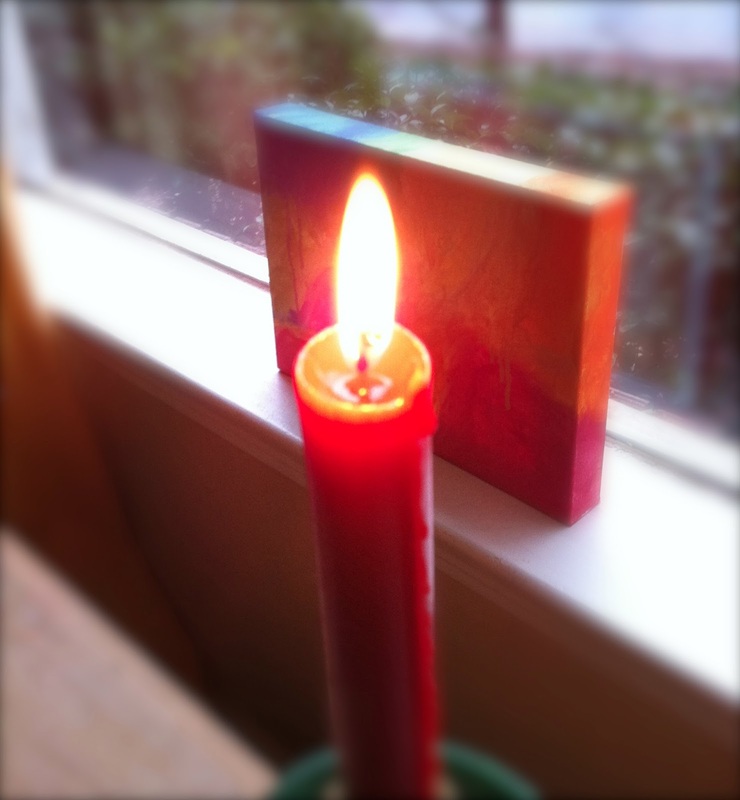 And I notice, too, that as each wick grows shorter, more of it melted away, its flame grows taller. The more the solid disappears, the deeper the light shines. I take my last bite, slurp my last swig, and snuff them out. (They smell like campfires, like Christmas on this gray Lenten day.) I know I will light them again tomorrow. Our prayers deeper than the sea. You possess a thoughtful, yet playful voice, Claire. I'm glad I was pointed toward your blog. I know I'll be visiting it often!